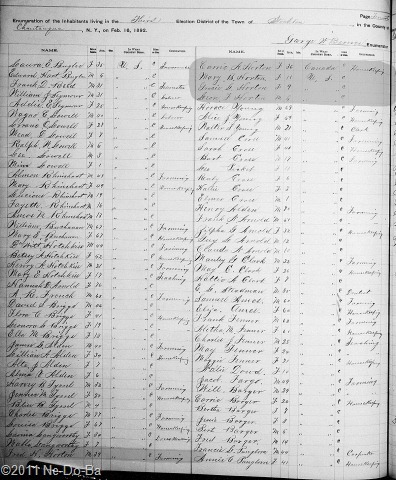 Today I am posting the 1892 New York State Census for Carrie Horton and her family. This year she is found in Stockton, NY. 1892 New York State Census, Stockton, Chautauqua Co., NY, dated 16-Feb-1892. This census year gives me a very nice picture of the Horton family. The only thing I see worth commenting on is the fact that Carrie is listed as born in Canada, while everyone else is born in the US.